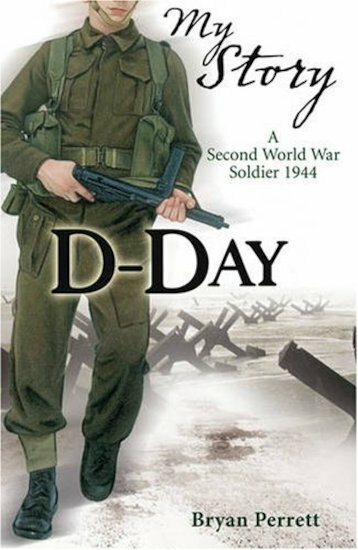 The day that changed the Second World War comes alive in epic My Story style. So real you’ll taste the gunpowder. It’s the most famous World War II battle of all. An epic turning-point: the Allies’ first real step towards winning the war. 6th June, 1944. Thousands of British planes and warships carry soldiers across the Channel to attack Nazi-occupied France. They land on the Normandy beaches. The Germans aren’t expecting them. Lieutenant Andy Pope is one of a squad ordered to cut off the German line of retreat. Under sustained attack, Andy is left as the last officer in command, fighting for survival. By sunset, the British will have breached Hitler’s Atlantic Wall on the Normandy coast. The Allied forces have won a key victory. But will Andy live to celebrate?